Thanksgiving means spending time with the family, and that -for many- requires a survival guide!. 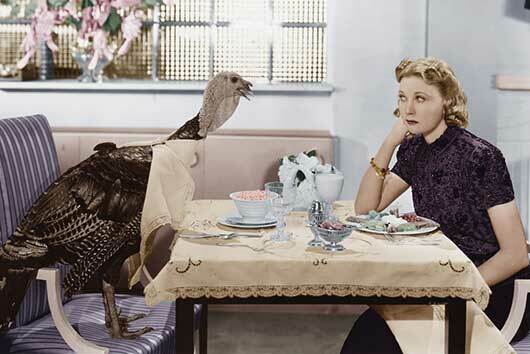 When I bring up the subject of Thanksgiving, I am often met by responses like: Well, it’s bearable for four days! or, Laura, my family is so dysfunctional! It ends up being a question of merely surviving those days rather than enjoying them. First, allow me to concede that “the dysfunctional family” is the new normal. All families have troubles, and in this age of divorce and remarriage, we now have the ex-suegra, the step-mom, the ex-husband, the son’s husband, the daughter’s wife, and a whole lot of family ties which were not so common a few generations ago. As if our immediate family of siblings and parents didn’t already cause us enough grief! Yet, there are ways to make your way safely through the holidays. If you change your attitude, people will change how they interact with you. This has worked for me, and it can work for you, too.